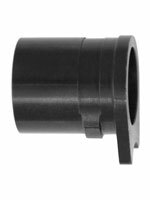 This C&S bushing has an oversize outside diameter and undersize inside diameter. Installation of this bushing will result in a definite increase in accuracy. Some fitting required.